Most ovarian cancer is diagnosed at such late stages that patients’ survival rates are poor. However, if the cancer is detected earlier, five-year survival rates can be greater than 90 percent. 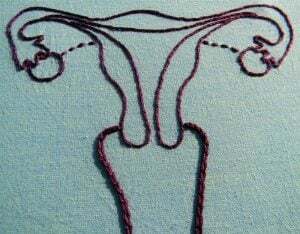 Now, MIT engineers have developed a far more sensitive way to reveal ovarian tumours: In tests in mice, they were able to detect tumours composed of nodules smaller than 2 millimeters in diameter. In humans, that could translate to tumour detection about five months earlier than is possible with existing blood tests, the researchers say. The new test makes use of a “synthetic biomarker”—a nanoparticle that interacts with tumour proteins to release fragments that can be detected in a patient’s urine sample. This kind of test can generate a much clearer signal than natural biomarkers found in very small quantities in the patient’s bloodstream. “What we did in this paper is engineer our sensor to be about 15 times better than a previous version, and then compared it against a blood biomarker in a mouse model of ovarian cancer to show that we could beat it,” says Sangeeta Bhatia, the John and Dorothy Wilson Professor of Health Sciences and Technology and Electrical Engineering and Computer Science, a member of MIT’s Koch Institute for Integrative Cancer Research and Institute for Medical Engineering and Science, and the senior author of the study. This approach could also be adapted to work with other cancers. In this paper, which appears in the April 10 issue of Nature Biomedical Engineering, the researchers showed they can detect colorectal tumours that metastasised to the liver. The paper’s lead authors are postdoc Ester Kwon and graduate student Jaideep Dudani. Bhatia first reported the strategy of diagnosing cancer with synthetic biomarkers in 2012. This method measures the activity of protein-cutting enzymes called endoproteases, which are made by tumours to help recruit blood vessels and invade surrounding tissues so the cancer can grow and spread. 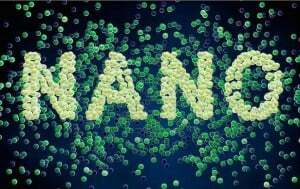 To detect this sort of enzyme, the researchers designed nanoparticles coated with small protein fragments called peptides that can be cleaved by particular proteases called MMPs. After being injected into a mouse, these particles passively collect at the tumour site. MMPs cleave the peptides to liberate tiny reporter fragments, which are then filtered out by the kidney and concentrated in the urine, where they can be detected using various methods, including a simple paper-based test. In a paper published in 2015, the researchers created a mathematical model of this system, to understand several factors such as how the particles circulate in the body, how efficiently they encounter the protease, and at what rate the protease cleaves the peptides. This model showed that in order to detect tumours 5 millimeters in diameter or smaller in humans, the researchers would need to improve the system’s sensitivity by at least one order of magnitude. In the current study, the researchers used two new strategies to boost the sensitivity of their detector. The first was to optimise the length of the polymer that tethers the peptides to the nanoparticle. For reasons not yet fully understood, when the tether is a particular length, specific proteases cleave peptides at a higher rate. This optimisation also decreases the amount of background cleavage by a nontarget enzyme. Second, the researchers added a targeting molecule known as a tumour-penetrating peptide to the nanoparticles, which causes them to accumulate at the tumour in greater numbers and results in boosting the number of cleaved peptides that end up secreted in the urine. By combining these two refinements, the researchers were able to enhance the sensitivity of the sensor 15-fold, which they showed was enough to detect ovarian cancer composed of small tumours (2 millimeters in diameter) in mice. They also tested this approach in the liver, where they were able to detect tumours that originated in the colon. In humans, colon cancer often spreads to the liver and forms small tumours that are difficult to detect, similar to ovarian tumours. Currently, doctors can look for blood biomarkers produced by ovarian tumours, but these markers don’t accumulate in great enough concentrations to be detected until the tumours are about 1 centimeter in diameter, about eight to 10 years after they form. Another diagnostic tool, ultrasound imaging, is also limited to ovarian tumours that are 1 centimeter in diameter or larger. Being able to detect a tumour five months earlier, which the MIT researchers believe their new technique could do, could make a significant difference for some patients. In this paper, the researchers also showed that they could detect disease proteases in microarrays of many tumour cells taken from different cancer patients. This strategy could eventually help the researchers to determine which peptides to use for different types of cancer, and even for individual patients. “Every patient’s tumour is different, and not every tumour will be amenable to targeting with the same molecule,” Bhatia says. The researchers are now further investigating the possibility of using this approach on other cancers, including prostate cancer, where it could be used to distinguish more aggressive tumours from those that grow much more slowly, Bhatia says.